It seems like readers may begin to think I am repeating myself. 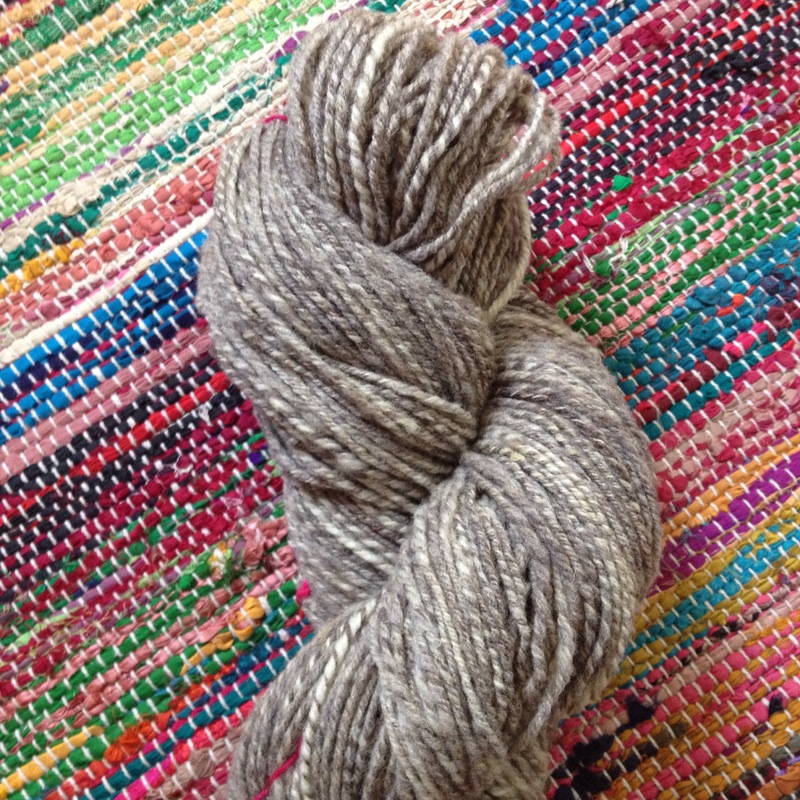 After all, I just plied up two more skeins of the grey CVM/Romeldale, and it looks exactly like the last skein. See? It’s just a bigger skein, 280 yards instead of 130. But that’s good, because I am going to stop with this for now and finish the last Lizard Ridge strip so I can see if these skeins are enough for seaming and the border. It’s just pleasant to be spinning again, and it’s pleasant that spinning is easy to pick up and put down in between working on my house and Mr. Ink’s house. So calming, so relaxing. Spinning can really keep hold of sanity when I am stressed. Spinning is the best stress relief! You may be repeating yourself, but so am I because I keep thinking how gorgeous that fiber is!